While fall means a return to routine as my children head back to school, it also means that our schedules seem to fill up at an increasingly alarming rate. Who knew that school, homework, soccer games, Girl Scouts, art classes and impromptu play dates would make any available free time in our days a thing of the past? Therefore, by the time the girls and I get home from school, they have a snack and a rest, homework gets done, and preparations for the following day are made, it doesn't seem all that surprising that having a nutritious, homemade dinner prepared can sometimes be a challenge. Fortunately, I know that I can always reach for the speed and simplicity of our most-loved dish, pasta! Pasta offers the ease of preparation and quickness that I need on any given weekday evening and, whether eaten separately or combined with any number of other healthy ingredients, ends up satisfying all around. According to the National Pasta Association, pasta has even more benefits, including sustained energy, low sodium, folic acid, a low Glycemic Index and more. Essentially, pasta is part of a well-balanced diet, is budget-friendly and versatile enough for any occasion and ends up pleasing just about every palate — what more could I ask for? 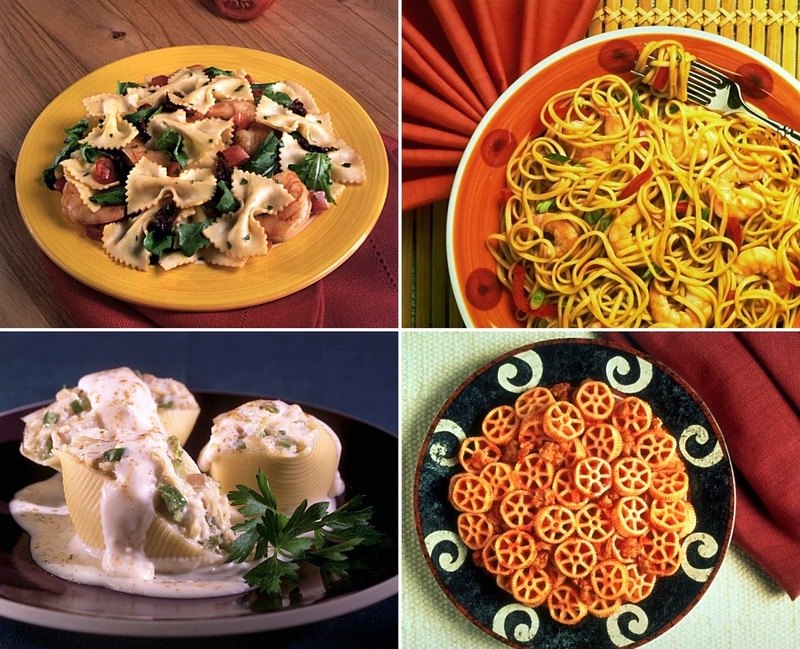 Recently, in an initiative to become a helpful resource for active families, the National Pasta Association took the love of pasta a step further and launched the Pasta Fits campaign, a nutrition and culinary education initiative packed with pasta recipes and tips. As a complex carbohydrate, pasta provides the optimum fuel to power your muscles and brain and PastaFits.org is the perfect place to go for recipes, nutrition information, contests and promotions, general cooking tips and pasta facts. If you didn't already know that pasta can fit into any active family's busy lifestyle with easy, quick, and wholesome meal possibilities, then this site will be even more perfect for you! I've been especially enjoying the Cooking Tips and the Pasta Shapes Dictionary on Pasta Fits (there are how many different shapes of pasta?) and, when it comes to recipes, this is one site that has it all. Whether you search by category, prep/cook time or simply browse through the endless number of mouthwatering pictures, it is abundantly clear that pasta is great to pair with fiber-filled vegetables and beans, heart healthy fish and oils, antioxidant-rich tomato sauce and protein-packed poultry and lean meats. You really can't go wrong! We typically have fairly traditional pasta around here, so in an effort to try something different, I was ready to put Pasta Fits' Spinach and Basil Pesto Pasta Salad to the test. While my noodles cooked, I used my food processor to combine spinach, basil, walnuts, garlic, parmesan cheese and olive oil. Then I mixed my pesto with grape tomatoes, mozzarella cheese and the pasta and the result was quite tasty! Next time I try this I'll change the ratio of spinach and basil just a bit to give it a little stronger basil flavor, but this was definitely a great change in our dinner routine and didn't take much time at all to prepare! Considering that my kids cleared their plates and my husband had two helpings (and then took leftovers to work for lunch the next two days), I'd say that Pasta Fits has received five stars! No matter if you are bored with your weekly schedule of meals or just want to find some new recipes to make dinnertime on school nights run more smoothly, you'll want to head over to the Pasta Fits website to discover all sorts of information, tips, recipes and more that your whole family is sure to love. As for us, stay tuned the next few months to find out just how much we're loving Pasta Fits and incorporating their fantastic site into our meals! If you're ready to pasta-it-up along with me, visit PastaFits.org today and connect with them on Facebook, Twitter and Pinterest. 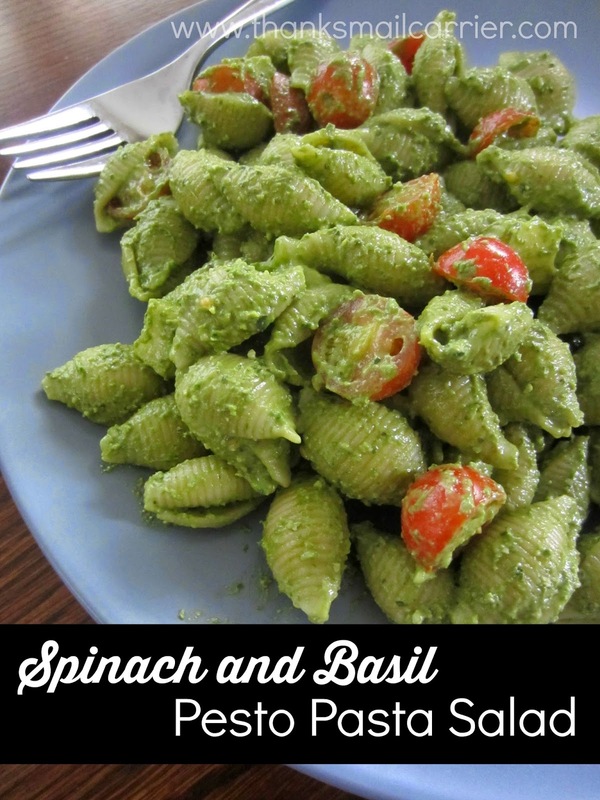 The Spinach and Basil Pesto Pasta salad looks so delicious. I love making cold pasta salad and I have a delicious Chicken Pasta Salad that I love. I will have to try this pasta dish. Oh, my, what a great website! Pasta Fits has a great collection of recipes; I already have plans to buy extra garlic to make the Roasted Garlic and Parmesan Noodles. Thanks for the introduction to Pasta Fits. I'm looking forward to your future posts about it, too. My favorite is the Ronzoni Garden Delight boxed pasta. Tastes great, and you get your veggies! I think the Spinach and Basil Pesto Pasta Salad would be great. I like the flavors. thanks for telling us about the pastafits website.there are so many delicious looking recipes to try. I like trying all the different shapes of pasta. I love pasta, have tried all types. Seems that wheat has a better taste, but haven't found the spinach in wheat. We just love throwing stuff in. Thanks for the great review.